Gimme a cookie, another cookie and some more cookies! This blue monster is sweet, cuddly and a bit messy at your party – if you serve him cookies that is! 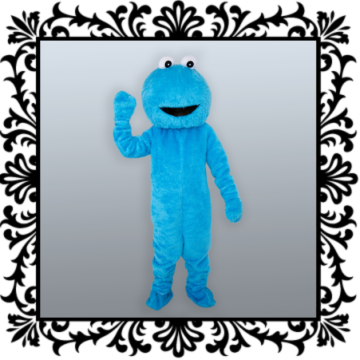 Blue Monster mascot brings some silliness to any party and many times comes with his good friend, Red Monster, to make little ones giggle and lose themselves in a land of imagination. 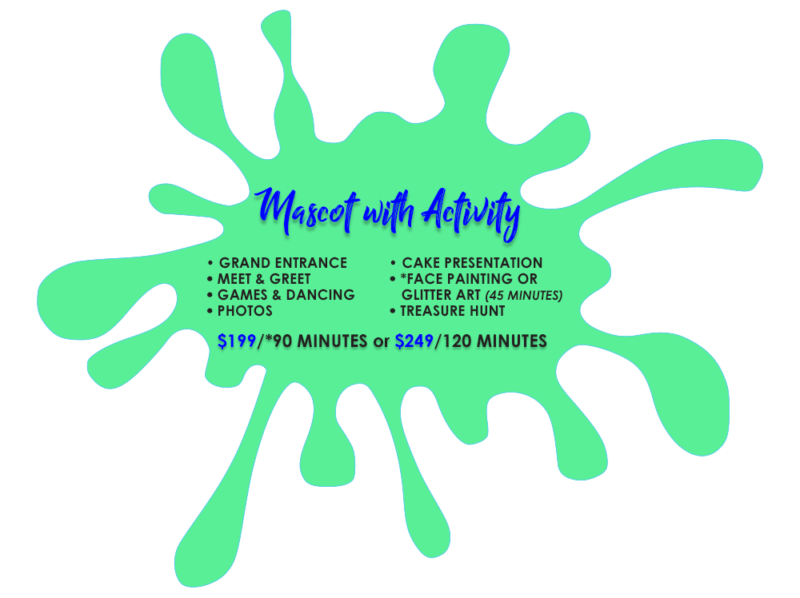 Mascots can be booked for 30 minutes or 90 minute events. 90 minute mascot party packages are the most popular and come with either games and props or face painting for little ones. Blue monster can attend your event for 30 minutes in Orange County only but can do 90 minute events in several cities in OC, Los Angeles and Riverside Counties.